This overland 2008 Chevy Trailblazer LT is owned & built by Joshua Walton. 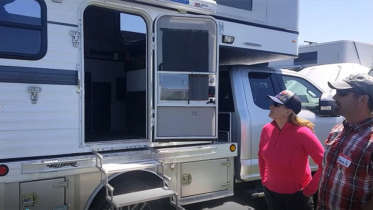 His motivation to acquire it was a passion to explore and camp outdoors as much as possible with his wife, 3 kids and 2 dogs. 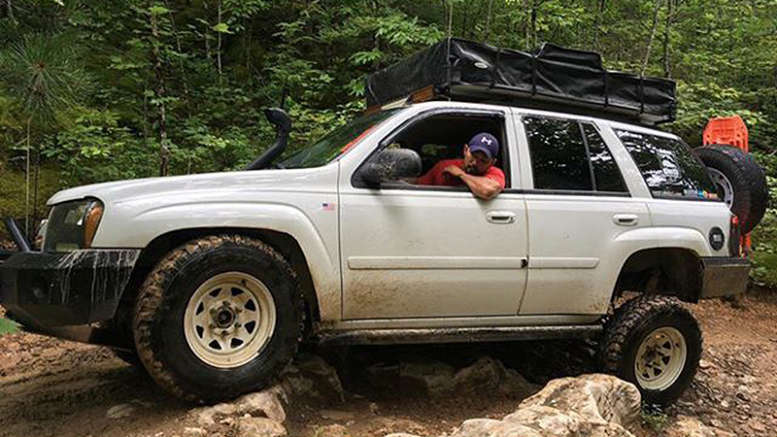 Now having a job and income that allows time to do so, Joshua bought the Trailblazer as his blank canvas to build a capable overland vehicle on a budget. All of the overland upgrades were completed by Joshua. It’s apparent he’s quite mechanically inclined and skilled at fabrication, even adapting some parts from other truck makes/models. To keep this a budget build, bartering skills also served Joshua well. Many parts, gear and materials were obtained through trade. The Trailblazer itself was purchased for $5,000. 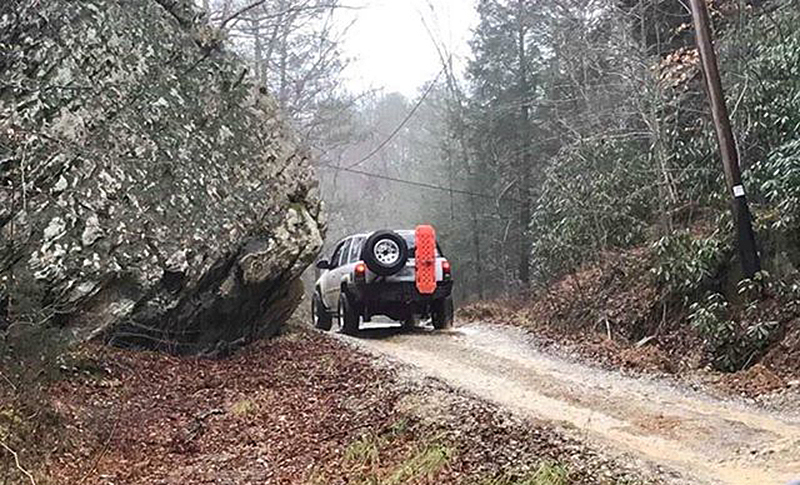 Thanks to Joshua’s DIY skills, it helped keep his costs for this overland build under $7,000, including the Smittybilt Overlander XL roof top tent. One trade Joshua made, was for the Iron Cross Automotive front bumper which originally was designed for a 2005-2013 Tacoma. 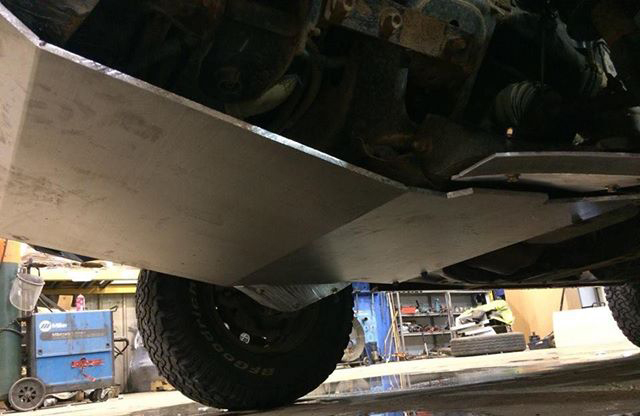 With some custom fabrication work, the bumper now fits his Trailblazer like it was made for it. A 12,000 lb Harbor Freight Badlands Winch resides within. 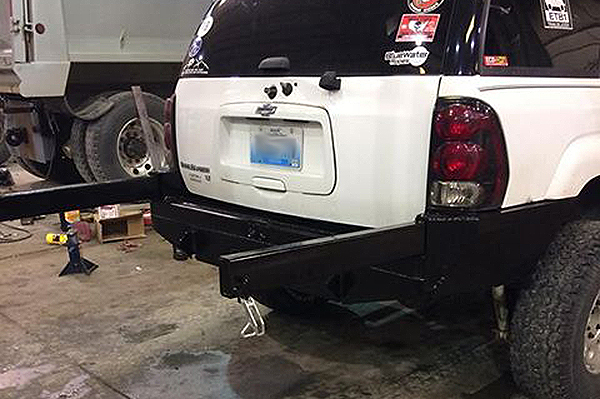 The steel rear bumper, Joshua fabricated entirely. It features swing-out arms that hold the spare tire and Maxsa traction mats, so you can open the tailgate without having to remove them. The skid plates are pieces of art as much as they are function. Made from 6061 aluminum, I asked if a big press brake was used to make the bends. Joshua commented, “Yes, I scored the aluminum and then welded the seam after I bent it.” The results are nicely fabricated skid plates. 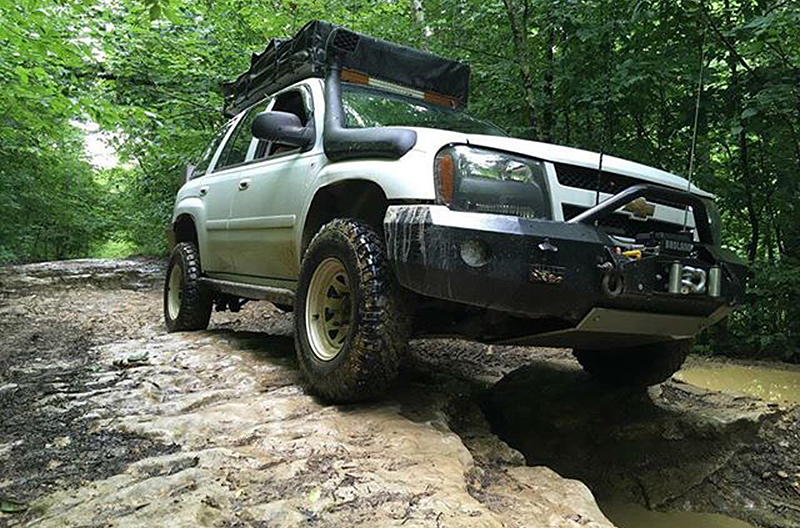 Heading up the front of this overland Trailblazer’s suspension, Joshua upgraded to Bilstein 5100 Adjustable Struts and Moog 81114 Springs. Total lift up front is 3.25 inches. In the rear, Joshua adapted Z71 coils from a Chevy Avalanche/Tahoe/Suburban. He also added 3 inch lift blocks and Rancho shocks from a 2017 GMC Dually. Total lift in the rear is 4.5 inches. I really like the retro white 8-spoke rims made by U.S. Wheel. Called the 70 Series, they’re all steel and look like they came from a 70’s Chevy pickup. Tires on these rims are 235/85/16 wildcat ext mud tires. Currently, the Trailblazer rolls on aluminum KMC wheels with 285/75/16 Cooper Discoverer STT Pro Tires. For the snorkel, Joshua commented that “It’s adapted from a Land Cruiser. It was the only vehicle I could find that had similar body lines. I didn’t want to go with a pvc setup or something that looked bad.” He also added a CB with antennas mounted in the front because they kept snapping off in the rear, and a cheap LED light bar from Amazon. 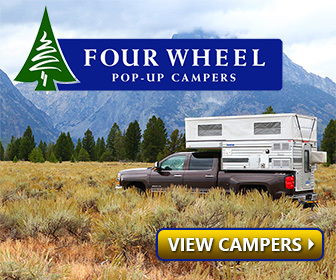 Be the first to comment on "Budget Overland Chevy Trailblazer: Bought and Built for less than $7,000"